Breast augmentation increases the projection, cleavage, and size of the breast. Many women need more volume in the breast in order to achieve a normal profile. The cause may be due to one or more factors such as a large amount of weight loss, genetics, or post-partum hormonal changes. The effect of small breasts on a woman’s psychological well-being can be enormous, affecting body image, causing low self-confidence, teasing from other people, and frustration with clothes fitting correctly. Most of these problems may be overcome by increasing the projection, cleavage and size of the breast with implants and breast augmentation surgery. 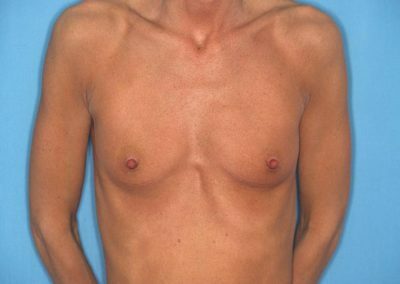 The implants used may be filled with silicone or saline. There are pros and cons to each and more details can be read on the BREAST IMPLANTS page. Your choice may be determined after a consultation with Dr. Hobbs. Breast augmentation is not covered by insurance. After assessing your unique situation Dr. Hobbs will give you the optimal options to consider. If you should choose to have a breast augmentation with Dr. Hobbs, your consultation fee will be applied toward the cost of your surgery. If your question has not been addressed we encourage you to contact Dr. Hobbs’ office for an appointment at 864-641-1491.